We launched a new G-CDN PoP in Dubai. And immediately after the launch the tests confirmed our excellent performance. First, our network engineers chose the optimal operator in terms of connectivity. Then they optimized the network and achieved the best response time among all CDN providers operating in Dubai — 10 ms.
Providing the bandwidth of 15,703 Kbps, we are among the leaders in terms of capacity as well. Dubai is becoming one of the major IT hubs of the world. 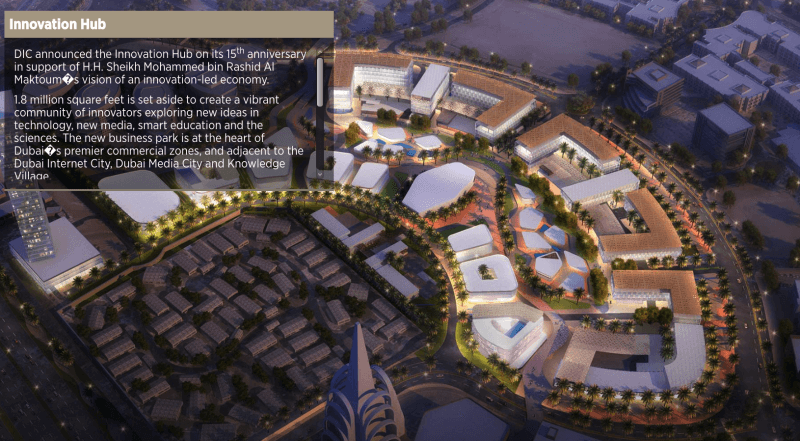 Dubai Internet City, Dubai Media City, Dubai Knowledge Village are already operating there. At the beginning of 2019 Silicon Park is expected to be opened in Dubai Silicon Oasis. Taking into account a well-developed infrastructure, tax benefits and the status of a free economic zone worldwide technology leaders has opened their offices in Dubai: Facebook, LinkedIn, Google, Dell, Intel, Huawei, Samsung, SAP, Microsoft, IBM, Oracle Corporation, Tata Consultancy, 3M, Sun Microsystems, Cisco, HP, Nokia, Cognizant, Accenture and Telegram. This year, Dubai was ranked 29th in the world for the index of startups, ahead of London, New York and Tokyo. 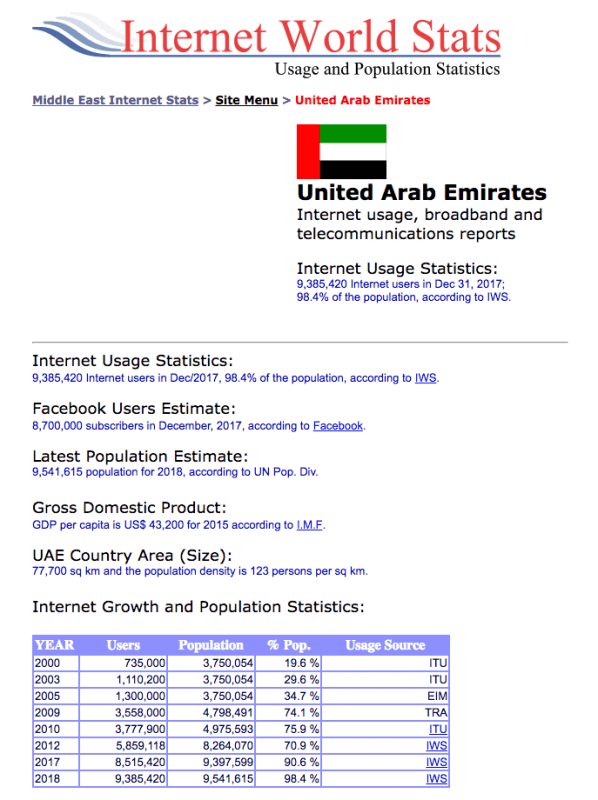 According to Internet World Stats, 98.4 % of the population of the United Arab Emirates has access to the web. This is one of the highest internet penetration rates in the world. After launching a node we have personally convinced ourselves that Dubai has really a lot of traffic. And we are confident that a well-developed infrastructure, launching new tech startups and the solvency of the population will contribute to its further growth. We are also getting ready to start selling servers in Dubai. 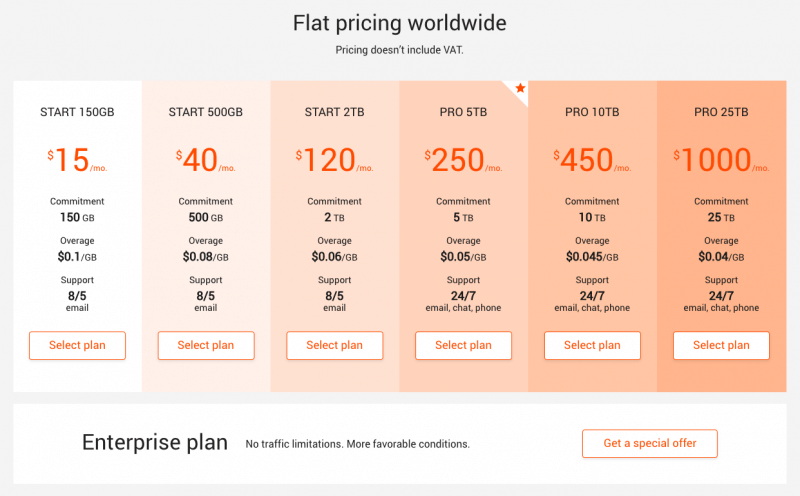 Soon you will be able to buy dedicated or virtual servers there with high-speed channels, DDoS protection and advanced features at a very attractive price. Follow the news. In mid-November, we have updated our plans, which are the same throughout the world, including Dubai. Now, having another high-performance G-CDN PoP in Tel Aviv, we are ready to deliver any heavy content to your customers in all Middle Eastern countries faster than other providers.